There are two things I really like to read on rainy days: poetry about stormy weather and humorous books. Why does my brain work this way? I have no idea, but it has strong opinions on this topic that I’m going to honour. 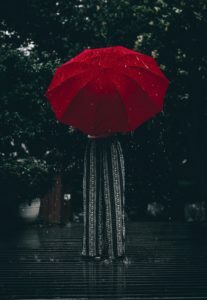 This week I’m going to be recommending five comedic books and five poems that somehow reference rain, storms, or similar topics. Most people understand that folks who work in the service industry are fellow human beings and should be treated with the same basic level of respect and kindness you’d offer to any other stranger. The individuals who choose not to follow this social more for whatever reason provided endless fodder for a hilarious blog that eventually lead to this book, too. 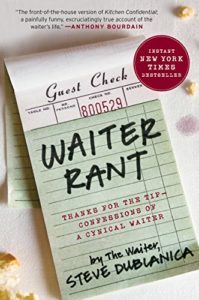 It’s the perfect thing to read if you’ve ever worked in the service industry or wondered what that experience can be like on the not-so-great days. I started reading it during a thunderstorm years ago, so that may be why I associate it with rainy days so much. Mr. Halpern’s dad is the sort of person who says whatever outrageous thing is on his mind without thinking about how others will react to it. 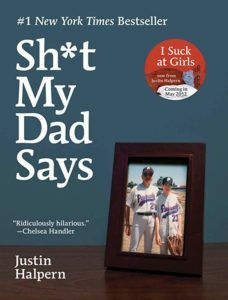 I should warn you that some of the quotes in this book might be offensive to some readers due to the stereotypical things the dad says about certain groups. As someone who has a couple of relatives who act a lot like this dad, it feels nice to know that I’m not the only one dealing with this situation. Sometimes laughter truly is the best response to things you cannot change. 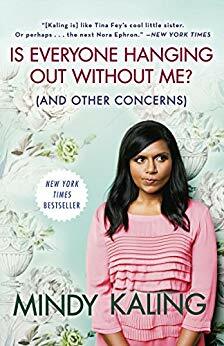 I read this book several years ago. 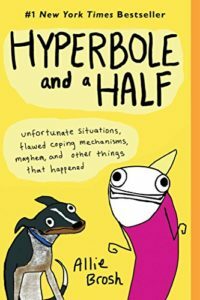 The only things I remember about it is that it was quite funny and I believe I might have read it during a very rainy weekend in my city. Ms. Brosh is one of the funniest cartoonists of our generation. If you haven’t checked out her work yet, you really should. Sometimes I save her latest blog posts specifically for stormy days because of how much I enjoy savouring them for a while. This was the first book I ever read from this author, and it happened in a bookstore on a stormy day. 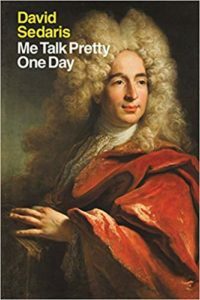 I loved his descriptions of trying to learn French, among other adventures. I’ve been a fan of Mr. Sedaris’ work ever since then. If you read this blog long enough, you’re going to notice me mentioning Langston Hughes a lot. He was an incredibly talented poet that I try to introduce new people to as often as possible. It can be easy for those of us who aren’t farmers to forget just how important rain is for agriculture. This poem is a nice reminder of that. If you’ve never seen a downpour in the desert, this poem is an excellent description of one. I love the cleansing imagery in this poem. The world does seem like a cleaner, brighter place after a good thunderstorm! The last line of this poem was what made me realize how great it is.